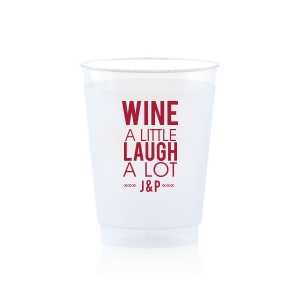 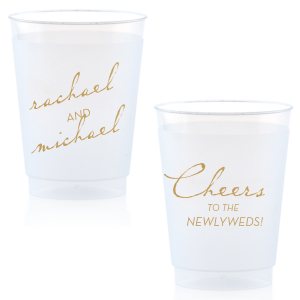 Serve wine and cocktails at your wedding with 10 oz frosted wedding cups from For Your Party. 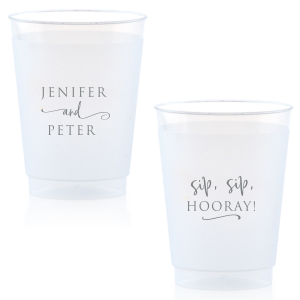 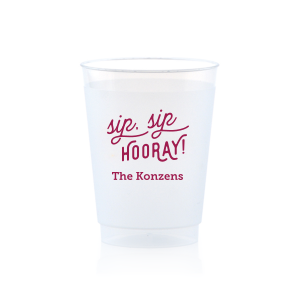 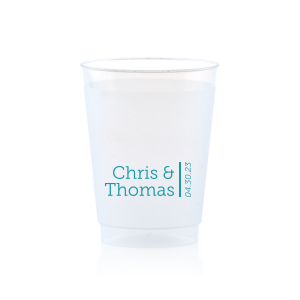 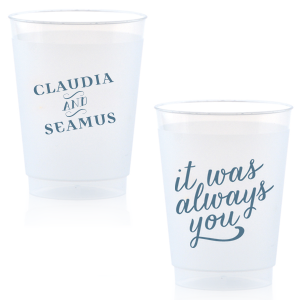 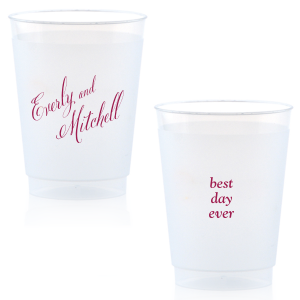 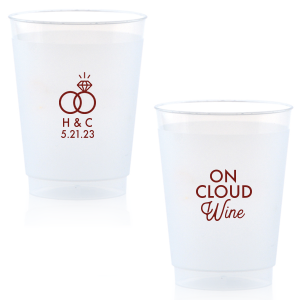 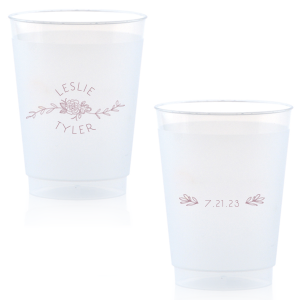 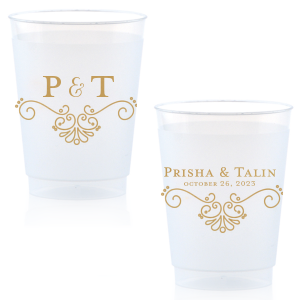 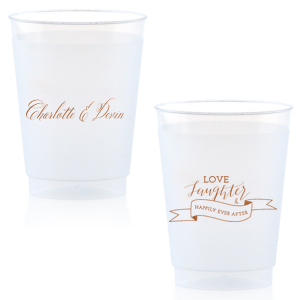 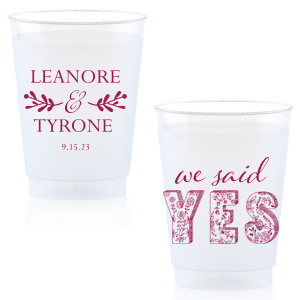 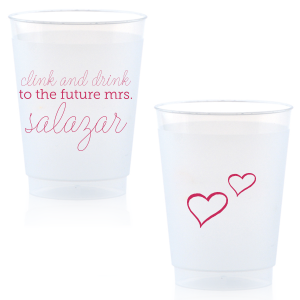 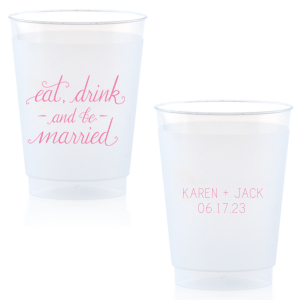 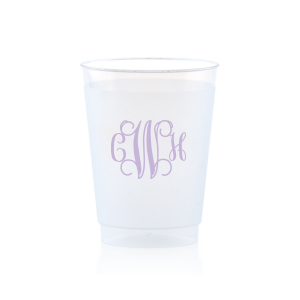 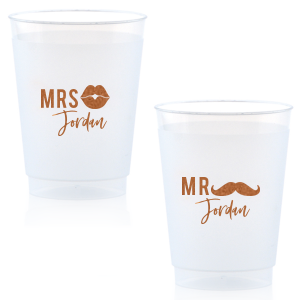 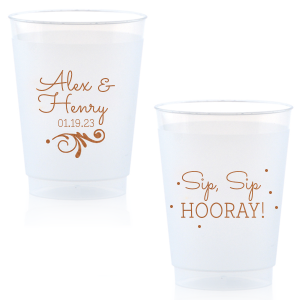 Personalize one of our trendy plastic wedding cups below or create your own style. 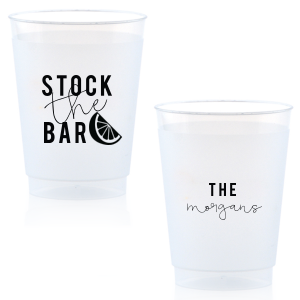 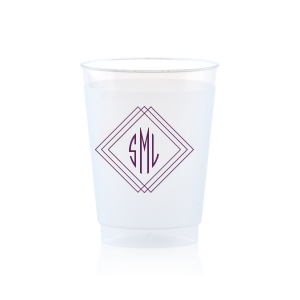 Add your monogram or themed design for beautiful barware that can also be used as a custom wedding favor. 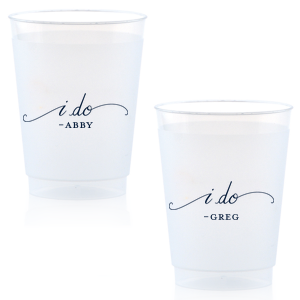 Be sure to select your frosted wedding cup size with foam bubbles and ice in mind! 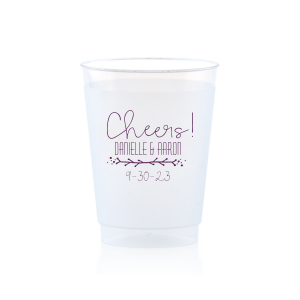 A bit taller than the classic plastic wine glass, this 10 oz wedding cup is the perfect plastic wedding cup to serve either signature cocktails or wine. 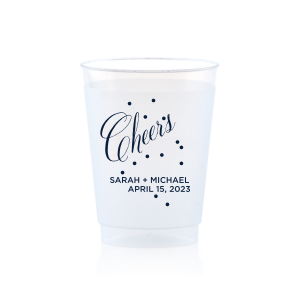 Whether you're planning a classic wedding theme, a modern industrial wedding theme or a boho floral wedding theme, you can design your 10 oz frosted cups to coordinate. 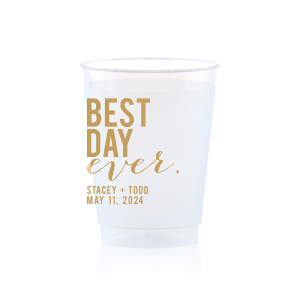 With a vast library of colors and wedding graphics, you can choose just the right style to have custom printed on your plastic 10 oz frosted wedding cups. 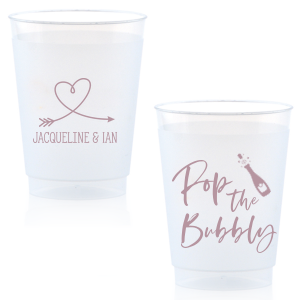 Add a trendy wedding saying like "Drunk in Love" or "You're the Wine that I Want" to complement your names and wedding date for a fabulous addition to your wedding bar and useful custom wedding favor for guests to take home.